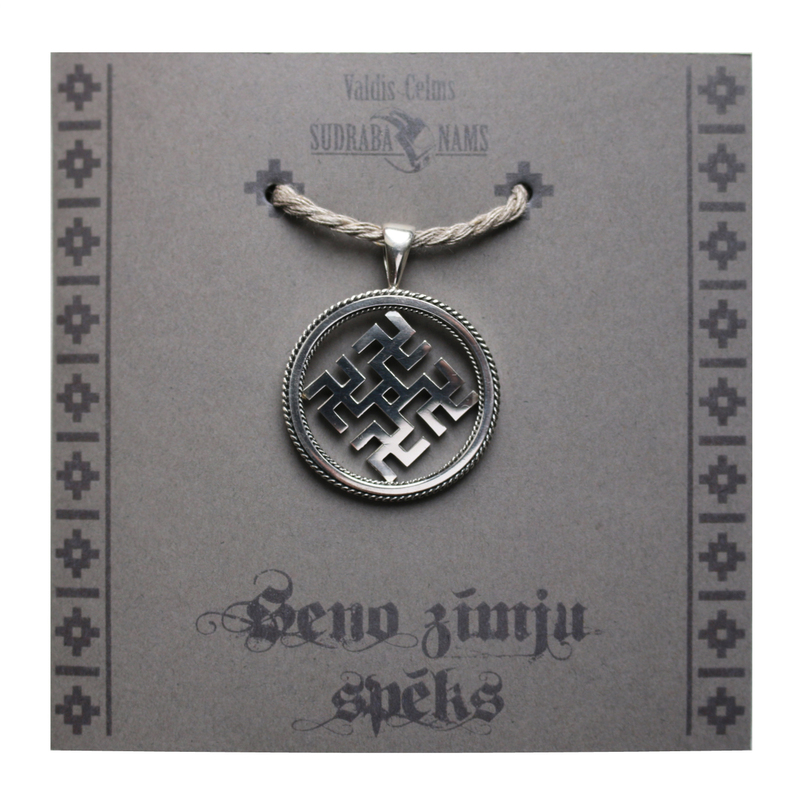 The jewellery is made by using several motives from Latvian sign ornament. The main sign is the sign of the Oak or the Well. One can see a strong golden cross of God’s blessing, life and light, as well as the little Suns in four main positions in the circle of the year and the fifth Sun in the middle of the sign. The Oak is also the sign of the year. The Sun shines on the oak– i.e. on the world and the soul of the human being. The signs symbolize completeness, power, confidence and belief in oneself. It is also loyalty, obstinacy, resistance. It guards the order of all things, the values of traditions, love, and success in life.